Emulsifiers are additives used in food industry as a means to achieve the emulsion, i.e. compactness of the food composition, as well as its preservation and flavoring, thus improving the quality and shelf life. The Children’s Hospital “St. Ana” in Vienna a few years ago in the campaign “Think of your children’s health” issued a separate list of harmful emulsifiers. Each manufacturer is obliged to indicate the used emulsifier on the product, so be careful and read good the writing on the products which we buy. See the list of harmful and not harmful emulsifiers and inform yourself what health disorders can cause these dangerous and harmful emulsifiers. 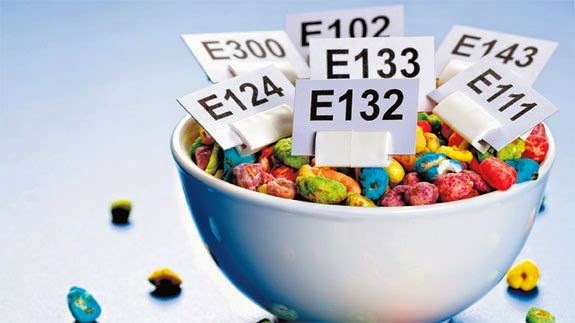 Emulsifiers E 125, E 141, E 150, E 153, E 171, E 172, E 240, E 241 and E 477 are also harmful food additives which is best to avoid as much as possible as they represent a threat for the health . All emulsifiers which are not included in the list of harmful emulsifiers do not cause any health problems. Products containing them can often be consumed without fear of causing any disruption in the body.